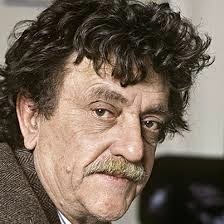 Writer Kurt Vonnegut said “our big brains are killing us” and there’s much to be gained from pondering that simple statement. 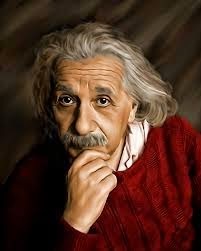 These unique and fascinating big brains of ours put us at the top of what can only be called human traits; mystery, innovation, science, history and a sense of both the future and our own impending death. No other animal shares that. We are alone and able (if we wish) to contemplate our collective destiny. But its occasionally nasty work and far more pleasant and distracting to wander among Kim Kardashian’s momentary antics. experiment and an equal (if not more compelling) argument that we have the tools to overcome our collective flaws and sustain. What is clear is that the planet will survive, with not much more that a hiccup if we’re relegated to the eternal dustbin. It’s a harrowing, narrowing argument and Vonnegut may be correct that the brain with which we have so miraculously been gifted may well be killing us off like the dinosaurs. Food for sleepless nights, twisting in damp sheets. We know—and have known for some decades—that our reliance on fossil-fuels pretty much assures a really nasty endgame and yet we pursue it when benign alternatives are available. For profit and against all evidence, we happily continue hell-bent upon burning the furniture to heat the house. We understand intellectually that the rise of sea-levels will shrink the habitable land we occupy and is in fact already well on its way to achieving that existential truth and yet we continue—too busy with the busyness of our personal lives to give a damn. We understand that our worldwide population growth is not sustainable. The argument is not about feeding the world, it’s about what happens when we achieve that goal and fuel the already-hot fires of growth. Growth is our national mantra, with little regard for the fact that the definition of ‘uncontrolled growth’ is also the definition of cancer. Yet we surge onward, beating the drum of growth, without a moment’s regard for its consequences. Those of us old enough to have been around when population totaled 2 1/3 billion (as it was when I was ten years old) at the end of WWII remember what it was like at a time when we might have chosen other paths. Yet governments have since chosen otherwise, so current workers support retirees in a mindless race to the bottom, a death-spiral of sorts, with a tragic endgame. Corporations joined in, thirsty for consumers to keep profits aloft in their fantastic balloon and now we are consuming it all. Scientists and physicians are aware that overuse of antibiotics, the wonder-drugs we’ve only known since the 1940s, are pitching us headlong toward uncontrollable and as yet unknown disease outbreaks—plagues of new and catastrophic dimension. Yet we use them indiscriminately for sore throats and pump them for profit through our food chain to fatten cattle. While celebrities, cold wars, hot wars, drug wars, economic debate and political nonsense grab the headlines, the oncoming train-wreck of our species is largely ignored or papered-over as non-science and avoidable. It’s not. Our intellect (God or Darwin-given, take your choice) enables us to know it’s not. We’re better than that. Our short stay on this planet we chose to call Earth demands we be better than that or the human experiment is over. Economic and political competition between America, Europe, Russia and China, as well as the trumped-up war on terror and military superiority are all irrelevant. Grab your android-enhanced cell-phone, while you still have one, and Dial D for Dinosaur. Sad, true, but well done nonetheless.